In Maryland, voters are split on whether they’d like to legalize sports betting in their state. The numbers come from a new Washington Post-University of Maryland poll that found a majority– but a slim one– would support legalizing gambling, at 53 percent, but when it comes to strong opinions in the poll, the voters are spilt. Twenty-six percent strongly oppose legalization and 24 percent strongly support it. It could take until 2020 for the issue to appear on a ballot in the state, but if voters would approve it, Maryland would join just two other Appalachian states who have approved sports betting so far– West Virginia and Pennsylvania. Pennsylvania is still working to get its program off the ground, but in West Virginia, gambling is bringing in new revenue for the struggling state that could use a financial boost. 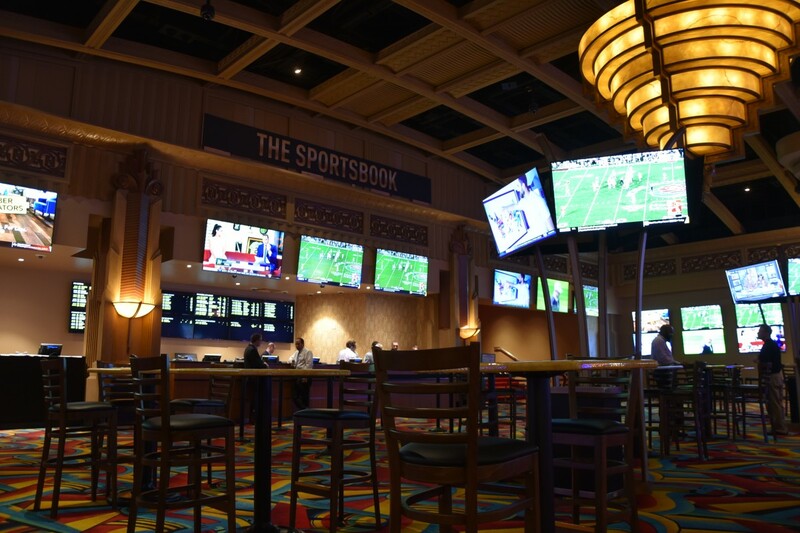 Sports betting became legal– with the exception of already established programs in Nevada– after a U.S. Supreme Court decision in May. The ruling gave states the right to make decisions as to whether there would be sports gambling within their borders, taking away blanket control from the federal government. Theoretically, each state could pass a piece of legislation to allow residents to place wagers on sporting events, and some states have; however, functionality is another thing. In Appalachia, Pennsylvania approved sports betting in 2017 and Gov. Tom Wolfe signed it into law in October of that year. After the May 2018 decision, the law took effect in the state, but the industry is still awaiting regulations from Pennsylvania officials before a roll out. New York approved a law in 2013 allowing sports betting in four distinct locations and the New York State Gaming Commission is reportedly working on regulations for, but proposed legislation in 2018 in the New York state house that would’ve expanded sports betting to the entire state failed and there’s no word if it will resurface in 2019. Kentucky, Ohio and South Carolina have also considered bills to allow for betting largely on college and professional sports, but have failed to approve anything just yet. West Virginia passed its legislation in March of this year, in anticipation of the Supreme Court’s ruling this summer, and two casinos are functioning as legal sports betting sites so far in the state. People can walk up to windows and place bets at Hollywood Casino at Charles Town Races in the state’s Eastern Panhandle and at The Greenbrier Resort, owned by the state’s Gov. Jim Justice. Mardi Gras Casino & Resort outside of Charleston and Wheeling Island Hotel Casino Racetrack have been approved to offer sports betting, but, they’re still ironing out the kinks, according to West Virginia Lottery Director John Myers. Every standard bet you can make in Las Vegas, you can now place in the Mountain State as well. The framework is in place for online and mobile betting which is expected to follow, but, for now, customers can use lines, point spreads and over/under to bet the first quarter of a game, the first half, the entire game and even in-play during games. Charles Town was the front-runner in taking bets, taking the first for the state on August 30. They have nine stations where someone can place a wager, creating new jobs at betting locations. “We’ve introduced a new department, so anytime you add a new department, jobs have to be filled,” said Erich Zimmy, Vice President of Racing & Sports Operations at Charles Town. Opening weekend in West Virginia brought in $320,631 in revenue, according to the West Virginia Lottery. Sports betting has brought in $3.1 million through the last weekend in October. At full operation, lottery officials project the state could bring in around $5 million per year. Online and mobile betting will open up an entirely new revenue pool. Everything is digital and legal sports betting will move to the touch of a button, in the palm of one’s hand. Although it’ll make placing bets easier, restrictions on exactly who can do the betting will remain. “We have a geolocation with this and you have to be within the [state’s] boundaries,” Myers said. Someone could attempt to bet on their mobile device from another state, he said, but the bet would be flagged and wouldn’t go through. It seems the casinos would lose business because of mobile access, and while they might lose foot traffic, John Cavacini, president of West Virginia Racing Association, said that won’t necessarily mean a loss in revenue. “The track will end up getting credit for the stance that is priced over the mobile phone,” he explained. The lack of competition from surrounding states that aren’t allowing sports betting is also a plus for West Virginia, Cavacini said. As far as the revenue goes, it’s spent however the state Legislature decides. The state share of profits goes into the state Lottery Fund to be appropriated. In the past, state revenue generated from the West Virginia Lottery has generated more than $9.98 billion in proceeds for the people of West Virginia, and Cavacini said sports betting is only going to add to the number. The fund is dedicated to spending on public education, programs for senior citizens, and promoting tourism and the state parks. There is, however, a dark side with illegal sports gambling, according to Syracuse University professor Rodney Paul. He’s an expert in the area of sports betting. But Paul doesn’t think the black market is really about sports. Cavacini believes black market players are actually unhappy with the legalization. “The state is getting nothing from those kind of operations. No tax dollars. No jobs. No anything. If their market decreases and ours increases, it would be new revenue and new jobs,” he said. But Paul is also concerned about spending the sports betting revenue. He doesn’t want West Virginia, or any state for that matter, to have a blank check mentality. Jay Gilmore is a visiting assistant professor in West Virginia University’s Reed College of Media Sports and Adventure Media program. Gilmore has decades of journalism experience, reporting and producing for the New York Times, Sinclair Broadcast Group and American Sports Network.